You’ve tested the Trial Version and know how simple and easy to use our solutions really are, now it’s time to buy! After your order is processed, you will receive your software license key on your email address from Email : sales[at]gladwev.com. In case, you don’t receive license notification email within 15 minutes then kindly check under spam/junk mail folder. If you don’t see any email from us then kindly contact us at support[at]gladwev.com as it normally takes maximum 15 minutes to send your software license. 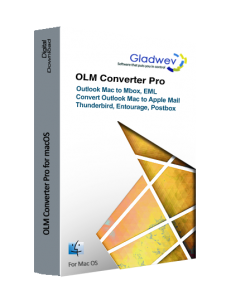 How do I download the OLM Converter Pro Software after placing my order? If you have already downloaded and installed the Trial Version, you don’t need to download the software again as the same can be unlocked with the License Key emailed to you, saving precious time. I am using a Laptop and Desktop, do I need two seperate license for OLM Converter pro to enable OLM file conversion? No, not at all, we understand that in today’s world everyone owns a Desktop and Laptop at least. So, we allow installation of your license on both your Desktop and Laptop if required by you. The same license will suffice for Desktop/Laptop. Can I use the OLM File Converter Tool on a Mac ? Yes, ours is the only mail format converter tool that is available for Mac OS. Once I have ordered a license, am I allowed to resell/ transfer the license in exchange for money ? No, the license is assigned to you and is customised for you. Even though, if you are happy using our solutions we would appreciate a referral. Do you offer an Educational Discounts for OLM Converter Pro ? Yes, we do offer 10% Educational discounts, please contact us and share a Valid Student/ faculty ID on sales [at] gladwev.com to receive your special pricing. Is it possible to purchase multiple licenses in a single order process? Please enter the desired quantity in numbers, during the checkout process to order more then one license in a single order process. Are we eligible for any bulk discounts for purchasing a large quantity of licenses? Commercial and Enterprise licenses are at a highly discounted price considering the number of activations allowed under these licensing options. you may write to us at sales [at] gladwev.com for any special discount requests.